j82 wrote: When you go to a grave yard you suppose to pay when you enter and leave for the watchers to prevent that. As for this spirit, id definetly not ignore it, id cleanse, use fiery wall of protection, sprit jar, anything to remove it from the premise asap. "So you pay when you enter and pay when you leave"--- Is there a thread that gives me more information in detail, I sure don't want anything to go wrong when visiting the cemetery. Cross over a body of water. I worked at a cemetary in Mobile, AL. I had to cross over the bay everyday when I returned home to Florida. I worked with some great spirits, and also some that wanted to cling and take a ride home. P double SS... J82 gave great advice and always has. J82 is one of my favorites in The Forum and knows Lucky mojo product advice and Miss Cat's advice from both her published book, the "GREEN BIBLE" (as we call it) Hoodoo Herb and Root Magic: also, Hoodoo in Theory and Practice. I looked on the site but could not find the specific but i was told to drop 3 dimes when you enter leave some offering and money for the spirit you are working with or taking dirt from and 3 dimes as you leave. Thanks j82! I will keep that in mind! Thank you, I will do more reading on this. I pay when I came but not when I left. Since I thanked and released my ancestors I don't think it was one of them, I am pretty sure something hitched a ride home with me. While doing graveyard work, it is also important to have protection on you. I usually will anoint myself, especially my head with, Hyssop oil which you can find here. You can also make a small packet of salt to carry with you as well for additional layer of protection. Best of luck! Papa_Newt wrote: While doing graveyard work, it is also important to have protection on you. I usually will anoint myself, especially my head with, Hyssop oil which you can find here. You can also make a small packet of salt to carry with you as well for additional layer of protection. Best of luck! Good Advice, thank you so much! Burn yourself up a large quantity of Dragons Blood resin incense as well. I usually start with my burning on the floor and stand over it, allowing the smoke to really rise up and cover my whole body. Then pick up your burning and going room to room, corner to corner in every inch of your house. This is generally a good way to clean out any type of spirits in your home. Ive been doing Paranormal Investigations and removal of negative entities for many years and this is generally always our first step after we know what we are dealing with. Also you can make a spirit trap for your home that are good for trapping any unwanted visitors in your home, You can also place camphor squares in the corners of your rooms, or if your in a smaller place like an apartment, the 4 farthest corners of your space. I was raised in a home where I was told "There's no such thing as ghosts". Lots of weird things happened to me as a child, but I was told that I just had a wonderful imagination ... there was nothing to be scared of ... or, "It must have been a dream". So ... when I went to graveyards or spooky old houses, there was no one to tell me I needed to protect myself ... so "others" wouldn't come home with me. I'm sure spirits attached themselves to me - it would explain a lot. I'm just starting to learn hoodoo teachings. I've cleansed my home, taken cleansing baths, and tried to take some protective measures, but there are so many things I don't understand. For example: I've read where a ghost cannot follow you if you cross over water. Is this also the case if that ghost has attached itself to you with a cord? Would the cord make it where that spirit can find you no matter how much water you cross over? How do you cut the cords of attachment? I've bathed with salt, Florida Water, and even a little Chinese Wash. I've asked St. Michael to help. Forgive me if this is a silly question , but I haven't had the benefit of growing up around people who believe in ghosts. All of you who had people who trained you regarding the spirit world have been truly blessed. Any info you could share would be very much appreciated. It is a traditional -- but now a universal -- belief that spirits cannot cross water easily or at all. It is the custom to return from a graveyard by crossing a river. If one feels burdened by a spirit, it is further advised to stop halfway on the bridge or in the water ford and recite the Lord's Prayer. Thank you Miss Cat. That is very handy to know about the Lord's Prayer. I love the way the Hoodoo Tradition utilizes Psalms and Prayers. I seem to have a family of spirits (or ghosts or who knows what they really are?) my home, think they may have been here before we moved here. It is like they are living in a different dimension than I, which I came to that conclusion after having several EVP sessions with a digital recorder. They will not leave, I have asked and asked. There are children in this "family" ages toddler to teenager....they have at times made my life miserable with making very loud banging, whacking, tapping, thumping noises, making sounds that you would think something large has fallen out of place yet nothing is out of place, played with my hair while I sleep, walking repeatedly on my bed while i try to sleep, played with medical equipment I must use when sleepimg, said things loud enough in my ear to wake me up, have felt chills, emf meters have gone off at times. They have played with my IR video cameras (moved the position of the camera, zoomed in and out while video taping and know very well how not to be caught on a camera). I have caught them a couple of times on video and still cameras but only for fleeting seconds so it never truly shows what theft really look like. I have also seen black shadows a few times out of the corner of my eye and one time I saw one straight on, no corner of the eye shot on that one and scary! They have told me that if they showed me what they really looked like, it would frighten me. They are not always honest when I ask them questions as well. I realized that they aren't in the same dimension, at least I don't think so, when one child said to the other, Look it is starting to rain. Thing is it wasn't raining here, not a rain cloud in the sky, it was a clear starry night. They apparently can see me, touch and walk around my room, make comments about what I do yet I cannot see them, have no idea what their "world" looks like, no idea why they are here or where they come from. I want them gone and desperately need someone's advice on what I can do. No, I am not interested in having any paranormal group come to my home. Thank you kindly for any advice you can give me. Look for instructions on using Chinese Wash to get evil out of your house. In the mean time, You could put camphor or bay leaves in the corners of your bedroom to keep the ghosts from tormenting you while you sleep. I've also read on this forum you can put a glass of water on your nightstand or under the bed to capture spirits ... then you throw it out in the morning. I'm new here, so the experts here on the forum can give you more detailed info. All I can say is cleansing the house as directed here on Lucky Mojo really helped me. I'm a firm believer now in cleansing and protecting my home from spirits and psychic junk. First, do a search of the forum using the key words, "haunted," "ghosts," or "haunting." You will get all of the threads that have asked for advice on this previous to you. In response to Joseph Magnuson, Lucky Mojo Course Graduate #1599,G; I did do a search under ghosts, hauntings and the like prior to posting my question and request for help. Could someone advise whether they have ever encountered such a situation? Are there spirits that live in a different dimension but can stay in ours indefinitely to harass us? Are they really ghosts or former humans or something else entirely? These told me they are not like me, they were not familiar with the word "human" and do not have hair on their head. What could they be? If I try to get them to leave and they pop back into their own dimension (or go up as they say or when they come into the room, they say it is coming down), how can I get them to leave if I do all that cleaning (which I have tried and has not worked, i.e. Chinese wash) when they aren't there? Since I cannot see them, I have no clue when they are around and as I said, they can just pop out whenever they want. I am not an expert in Hoodoo, but I have been on a professional paranormal team that only handles residential cases. The vast majority of work we do is with clients who are having so much negative activity that they want to move out of the house if we cant fix the problem. I have hundreds of investigations, cleanings, etc under my belt, so take this for what its worth from the paranormal perspective. First off, big no no doing EVP and investigating in your own home. The energy/intent you are putting out into the universe when you do that is that you WANT contact and communication with them. You cant do an EVP session to try and communicate with them, then get upset when they make noises and get your attention at night. Your just getting exactly what you asked for. If you really want to go the paranormal investigation route, find a local team with some credibility to come check out your house. I have had cases where spirits claim to be other beings. Maybe they are, maybe there not. Its not an exact science so its hard to say. This whole "family" of beings you have may just be one really strong trickster spirit who likes playing games with you. What I would do is burn Dragons Blood Resin incense throughout your home. Its been noted by many traditions to clear out spirits, and really clear them out. Then buy camphor squares and place them in the 4 corners of your home (some people do it in the corner of each room, ive had success with just the 4 most outer corners of the indoor area of the living space). From there if you are still having activity it would be time to get help. I would suggest a reading from a member of AIRR, get or make a spirit bottle, or have a professional paranormal team out to come get answers for you. For about a year now, been having a few odd things going on in the house. I suspect a little spirit activity. I am not picking up any negative feeling so I am guessing may be friendly. Our radio is turned off occasionally by itself or the function mysteriously changes. Also our fire alarms go off in the house at 7:21 pm every night. (Of the 6 fire alarms, it rotates between the kid's rooms as the one setting them all off.) We have done mundane checks and found nothing there either. Cable or Internet resets for no reason. ( Nothing wrong with connection or equipment. Had that checked.) My ankle was grabbed a month ago and something unseen moved my ankle braclet. I have cleansed the house a couple times, followed with salt and Firey Wall Of Protection, but things only start back up after a few nights. Any suggestions on maybe getting the spirits or spirit to not be so 'noisy' lol ? I may get an AIRR reading down the road if it keeps up. The only other thing I can think of is the youngest child is suddenly been afraid of the dark where he wasn't before... Not sure I'd that is related or not. Looking for suggestions.. This is a link from AIRR that should be very helpful. I agree with the others, you should get a reading. Has somebody close to you recently passed on? Perhaps in the past two years? If so, it could be that person trying to get your attention. Spirits often tamper with electronic items to get our attention as they are easy to control. As a funny antidote, my close friend can always tell when I am actively working with spirits, because one of my guides (a mischevious one who is very dedicated to his work, but likes to pull little pranks too), will turn the TV on and off randomly, or change the TV show we were watching to something funny like the Real Housewives of (insert drama-laden city here) and turn the volume up really high. He thinks it is really funny! I swear you can almost feel his laughter in the room!! Haha! Now, my friend, once weirded out by such odd occurences, just rolls her eyes and says 'STOP'! Instantly, he will change channel back, lower the volume, ect. I mention this as a side note, that although scary in the beginning, many spirits mean no harm and are just trying to get a message across. This is indeed a very traditional way to stop a spirit from dogging you. If it proves ineffective, you may require some type of hands-on deliverance or exorcism service. Thanks Miss Cat. I haven't seen this spirit in a month or so but I still feel some form of presence. I'd had a reading scheduled this past Saturday with you for Pro Bono to discuss the issues around where/who this spirit came from but I missed it. My name is Loahmmi and although I'm not new to the Lucky Mojo Products, I am new to the forum. I often look up information and just kinda read to educate myself more. Ok, so I've been on my Spiritual HooDoo path for 5 years now and most of the things I do are in secret BUT, my friends and family kinda know that something about me is weird and "different" when it comes to my spiritual practices, ya know I'm the one they come to when anything metaphysical happens to them be it dreams, ghost, prayers, readings etc. Ok, so although I want to take Cats course and become a certified worker I have not done that yet and haven't done much work for others, other than a candle lighting here and there. Ok so my friend just moved into his house and his girlfriend and his dog where the only ones in the apartment at the time. So he say's that she was in the kitchen doing dishes when she heard a loud bang. She goes into the living room and there is a drawer from a table, that has now been taken out and throw across the room. The table is a coffee style table with drawers that face the couch and the distance from the table from the couch would not allow for this drawer to be fully opened, let alone thrown on the other side of the couch. Afterwards she took a picture which she showed me and then she took some videos of her boyfriends dog who was flippin out!!!! Also in the video you can see a couple of orbs floating around here and there, and the poor dog was whimpering and on her lap with his tail between his legs. I am not a member of AIRR but I have been doing residential paranormal investigations for over 6 years, with over 200 cases under my belt. First thing is about orbs. Orbs 99% of time, are dust particles. True that 1% of the time it could be something else, however the only way to tell would be with video (so you can see the movement behavior of the anomaly and compare it to dust or bugs). Just thought I would share that with you. Orbs is probably the most common thing people look for with paranormal evidence, but its often the most difficult to prove with, and easiest to dismiss. However with the movement of objects and an animal responding to an unseen person, you probably have something going on. My Best advice to you would be to get a reading from a member of AIRR, and/or find a reputable paranormal research team to come do an investigation. If the behavior inside the home is negative there are things they can do in the meantime. Personally I prefer to use a mixture of camphor and dragons blood incense placed right onto a charcoal. Take it form room to room while praying from the heart for protection and the removal of anything that means you harm. Afterwards give the place a good cleaning with Chinese Wash, starting at the back of the house, working towards and out the front door. Most people, myself included, then prefer to do a blessing. You just removed energy from the home, if you dont fill that void, something else might. So then get some white candles and use Fiery Wall of Protection oil and incense to add that element of protection to your home. SpiritMojo: As someone who has more than a passing interest in all things paranormal, I am very glad to see a sane and rational person such as yourself on these forums. Your above post illustrates this very clearly. Thank you for your input and advice to loahmmi1978. Much appreciated. Over the past several months, I've been experiencing something very odd; which has never happened to me before. It started back in April when I was in the midst of morning meditations. As I was meditating, I started to feel "shocking" sensations all through my body. It frightened me and the more I tried to fight them off, the more intense they became. I was trying to pull myself out of the meditative state and felt like I was being sucked back in. I did a lot of cleansing work after that: baths, deep prayer, working with St. Michael, and protected the outside of the house. A few weeks later, the same thing happens, only I decided not fight it. The electric shock feelings begin and then progress until I almost blank out. But, then there is something touching me too. Sometimes I can feel it's "hand" stroking my hair, or doing other things. Sometimes the encounter is sexual in nature. There are times when the shocks are so overwhelming that they become painful. One day, I was left in actual physical pain from this. A friend of mine was telling me about Pranayama and how, when we put ourselves in vulnerable states, we need to be able to physically harness energy. I read tarot and have done a few readings regarding what this is that keeps visiting me, and whether or not it is evil. The reading always tell me that there is something to be learned, but it's not evil. Something else that I have noticed is that, it would only happen once or twice bi-weekly, but has now progressed to every time I meditate. Sorry for the long post, but I was trying to as descriptive as possible. Thank you, in advance, for any info and replies. I can understand how the sudden development of these "shocking" sensations during your meditations could be very distressing -- however, you give no indication that this mute spiritual visitation is, in fact, a visitation from a sensible entity. It could be an indicator of a neurological disorder, even a mild seizure disorder. I am not discounting the experience, but i am strongly advising you to see a neurologist, especially one who will allow you to induce the event by meditation while under observation with sensing or testing devices of the type that are used in sleep disorders, epilepsy, and other neurological disorders. Thank you for your quick and insightful response. I suppose I just find it odd that it occurs only during meditation and not any other time. I see my doc every 2-3 weeks for a b12 injection (has been very beneficial for me), and they take vitals each time. I get blood work done every 6 months and so on. Overall, I am told I am in good physical health. I have never had any neurological issues in my life, but I do realize that illness and conditions such as these can surface. The thing is, each time it happens, it becomes more and more vivid. I actually saw a dark outline of a body; which I perceive to be a man. Another thing I want to add, is that I have a small lapdog who insists on being right smack near me, day and night. So, when I meditate, she is laying down beside me. When I feel the presence (the shocks and touching), she will start physically shaking; as in her entire body. This, combined with my own experiences, has added to my intrigue. When I see my doc next week, I will mention the situation and see what he suggests. Thank you for giving me a different perspective, Cat. I need help with product suggestions or links on LM site. If anyone can help, I would greatly appreciate it. Here it goes. When we bought our home I seen a small child spirit sitting on our staircase watching us move in. That night our closet doors open. Then two small moose statues on our fireplace was moved so they were made to look like they were kissing. A pair of scissors disappeared and a napkin decoration on the dinning table is missing now also. I believe her active spirit has a lot to do with this. When I'm home alone she is more active. She watches me a lot when I'm cooking and cleaning. I'm ok with her, if she would not hide or take objects. I have tolerate all this with her because we were u able to have children and she some what feels that emptiness in a weird way. Is there any LM products with links on the site to these type problems I could use. I cleanses the house when we moved in. I have never dealt with a child spirit whom actually takes a object. Any suggestions would be great. Thanks in adavance. If this was me, I would ask Archangel Micheal to remove the spirit from the house. I also recommend you cleanse and protect yourself and your home. Get the "Fiery Wall Of Protection spell kit". As well as Chinese Wash, Peace water, and burn some camphor on charcoal and go around your house with the fumes. Since you cleansed the house, I would think this means that this spirit is not harmful or dangerous, just seemingly mischievous, like an errant child. If you don't want to evict the spirit out right, I would think your best option would be to talk to it, tell it to stop taking things and moving things. You might try to appease it by maybe giving it it's own toy to play with and placing it somewhere, so it can have free reign to play with that toy. You can be assisted by this in using Psychic Vision (to help better perceive the spirit) and spirit guide oil. 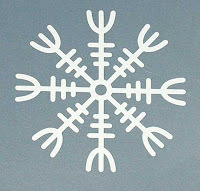 In doing so, by making an offering of a toy (or toys if you want) you might be able to ask the spirit if it will be a guardian and protector for people in the home. You could anoint the toys with Spirit Guide in order to mark the toys as the spirits, and in giving the toys, ask for what has been taken to be return to you, and that the spirit not steal anything else. If you wanted the spirit to go, you could always call upon Archangel Michael, as he also plays a role in guiding the dead to heaven, and I'm sure he would guide a child ghost to heaven. The suggestions about protection are very good. If I were me, though, I'd contact an AIRR worker who's a medium to see if there's a way to find out who she is - if she's the child spirit you think she is, or if she's really something else - and if there's a reason why she's appeared in your sphere. And, if she doesn't mean you any harm, is there something that could be done to help her move on, or let her go in a nice way. But that's just me. Archangel Micheal works fast and I believe he'd do what you ask, too. Hi KittyMojo, since you feel comfortable with this spirit, you might try and communicating with her. She might be taking things as a way of trying to get your attention. There are several great book at Lucky Mojo that can help you to speak with Spirits. http://www.luckymojo.com/mojocatbooks.html Here is a link to the books, most of the books on talking with Spirits is in the 'Books About Spiritualism" section. Thank you so much starry moonlit night for your reply. I will be doing what you posted. Thank you for the links. I greatly appreciate it. Thanks to all you guys for the replies. I just seen the other replies. Im not very computer savvy. I apologize for that. I will also be checking the book selection out. Thank you for that link. I'm use to having people come to me for readings with spirit communication. This was so different with her tho. She did tell me her name was Ella. I'm gonna be doing some searches at the court house on the land. I know it use to be farm land before the subdivision was built. I have been looking to get a reading from a airr member. I have ask for this for a b-day gift from my husband. I have had candles set in the past on a different situation from LM. It was amazing and helped greatly. I also had some work done by Moma Starr. She was GREAT. Fast strong work. She reminds me of home. Thanks all you guys. This gave me a good direction to head in. kittymojo: Thank you for the continuing updates! You have a nice weekend yourself and please come back and let us know of any further movement with your situation. These forums are a priceless recourse for those of us keeping an ear/eye on cases such as yours, no matter what you finally decide to do. Best of luck to you. Thank You Joseph Magnuson. I will update for sure. Just a update. I made a special room for Ella my little girl spirit, with her own toys and everything. Things seem well. I talked with a elderly neighbor and it seems (Ella) she and her family lived on this land many years ago before the farm was made into a subdivision. She remembers her name as Ellen. Haven't check court records yet thou. A older family member wanted me to drink Holy Ghost Root once a week for protection until all was settle and calm. I did do this last week once but, things are a good and now she is nice company. Thanks for everybody's advice and help. First, it is AMAZING that you got in contact with someone who remembers the history of your house, as well as being friendly enough to offer up this information to you. Second, make sure you put the time and energy behind looking up those records. I feel like that will only broaden the greater picture by quite a lot for you. Best of luck to you and thank you so much for that wonderful update! I have been having problems in getting my baby to go into her room, she never settles in there, she can sleep anywhere but her room, I'm not completely sure why but I also don't really get a good vibe when I'm in there, I always sense something but can't quite get through to who or what it is, but I do feel that it's because of that is why my baby isn't sleeping in there. She's nearly 1 yrs old and if she slept anywhere else she sleeps well and through the night, its only her room that she doesn't seem to like, her cries are even sound like she's more frightened. Any ideas on what I can do to calm her down in there or possibly find out what is there? Pixistix, have you tried a night light? And on the spiritual level, try cleansing the room with Chinese Wash or Uncrossing Bath Crystals. Chinese Wash has a strong lemony scent, and Uncrossing is minty/eucalyptus-y. They are both used for cleaning out evil messes. Then mark the windows in a five-spot pattern with Fiery Wall of Protection oil; do this once a week. Treat the baby's laundry the same way -- Chinese Wash or Uncrossing along with the detergent, then Fiery Wall of Protection in the rinse water. You might also make a mojo with a white flannel bag, some flax seed, angelica root and motherwort to put under the little one's bed. It will protect the baby and maybe also help soothe it. Thanks for the replies, yeah she has a night light, she's had it for the past few months and there's no change. She can sleep anywhere but in her room. I will try all those things. I agree with Miss Michaele. I'd cleanse the room too. A nightlight will help like she said. brthchristopher gave good advice too. You can also read up on blessing products. I keep mine with me all the time for reference. You can order a mojo from the Lucky Mojo store. You can call 707-887-1521 to ask which mojo would be best. If you aren't sure which one to choose, look over the ones listed in the online catalogue under mojo hands. I would think a blessing mojo hand would be good for a baby. Many blessings to you and the baby Pixi! Hello. I didn't know if this should go in Hauntings or Real Estate ... but since I'm looking for a place to live, here I am. I have read about cleansing homes, marking homes so others can't buy them, etc. But I can't find what to do when the house you are looking to buy/rent isn't the problem ... it's the one next door. There is a big house ( in need of TLC ) in my town, that I am very interested in. My family and I went to view it and it would be a lot of work, but the price is low because of that and it has the room we need. I didn't sense anything evil in the house ...if anything the house seemed to be crying out for someone to move in and return it to it's former 1930's glory. The issue is the house next door, a large 2 story Victorian which is vacant. It sits very close to the property line and towers over the house I am looking at. It has a seriously creepy vibe. When I look at it, it's like something is looking back at me - definite feeling that you are being watched. So, if I were to purchase or rent the house I am interested in, could whatever "bad" in the house next door cause problems for me? Would the "ick" stay on it's side of the hedge, or could it mess with us next door? Yes, the house next door is creepy enough for me to be considering walking away from the house I like, but am I over thinking this? After all, I am not looking to move into the creepy, evil Victorian next door. But I feel threatened enough when walking in the yard or close to the property line ( where the driveway is ) that I am wanting to know what I may be getting into. If anyone has experience with this sort of thing, please let me know. I would of course cleanse and bless, then protect the house should I move in ... but I can't cleanse the house next door. Should I just keep looking? Hi MoonBreath, this is just off of the top of my head and I am actually really interested in hearing what others will say, but you totally could cleanse the house next door. You mentioned that it was vacant, if that's the case it is possible to cleanse it. You could also set up some strong protections on your potential new home specifically geared towards keeping the next door ick out. You might also consider getting a rootworker or psychic/medium to come out and read the property. I think it's totally doable, especially if you really love the house. Best of luck! I can't wait to hear how it all turns out. Miss Phoenix, thank you for writing back. The house next door is vacant, but I can't go inside ... it's locked, and I don't know who the owner is to ask them to let me in ( they would probably think I was nuts anyway ). I would need to work against ..."whatever is over there" privately. I have already read about sprinkling salt around the property line and would certainly do this, but could a spirit or entity influence or harm us from next door? There is nothing I can do to prevent "it" from watching us. If we lived there, we would be in it's line of sight all the time. Reading over this thread yesterday and today, I keep thinking that putting mirrors in the windows of the house which face the Creepy Property could really help reflect the malevolence back. Combine the salt with a bit of Run Devil Run sachet powder for the line common with that house too. I totally love this idea aura! You could also use the Run Devil Run/salt combo around the perimeter of the other house as well; keep that yuckiness trapped in the house at least. MoonBreath, it's an old and widespread practice to place mirrors on the side of a house where the scary neighbors are. Some people even get those round "fish-eye" mirrors you see on automobile side mirrors -- they're round, like an eye, and they're weatherproof. Thank you Aura and Miss Michaele. Run Devil Run is a good angle. Now about the mirror on the outside of the house, I went to google images to see examples, but all I found was mirror siding ( seems to be an art trend in Denmark) and those Bagua mirrors used in Feng Shui. Is the Bagua Mirror what you were talking about Miss Michaele? It seems like I read somewhere a long time ago about Southern hoodoo folk putting a piece of broken mirror outside near the front door, but I can find no photos ... could this be the tradition? Would this be a case in which Tibetan Ghost-Purging Incense might be of use? Though I don't know a lot about that particular product, I first thought that maybe it could be burned inside during protection and cleansing work before moving in and then perhaps also in the yard of the house next door. I'm interested to know if this is appropriate action. I LOVE Tibetan Ghost Purging Incense. I can't imagine not having a little stock of it ALWAYS on hand. And yes, if I were visiting Moon breath's house, I'd certainly use it there. If I'm not mistaken however, Miss Michaele was talking about the little tiny convex mirrors that truckers have on their side views to help them with the visibility of their dead angles. The automotive section of a general store would have it. Alternately, any small mirror (such as the Southern hoodoo tradition you speak of) can be used in the window. Some that are used in decorating even have fancy shapes like feathers, stars and flowers. MoonBreath wrote: Now about the mirror on the outside of the house, I went to google images to see examples, but all I found was mirror siding ( seems to be an art trend in Denmark) and those Bagua mirrors used in Feng Shui. Is the Bagua Mirror what you were talking about Miss Michaele? 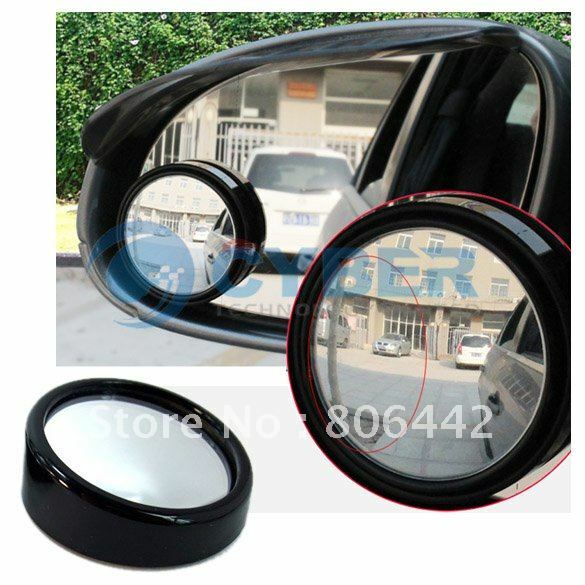 As I understand it, the use of the round auto mirror is a down-home American adaptation of the Bagua mirror -- another case of borrowing a foreign tradition that fits right into the existing philosophical framework. Just google auto side mirror round. Or call your nearest auto parts store. M'colleagues, I also like the suggestion of Tibetan Ghost Purging Incense. MoonBreath, you could just sprinkle some along the property line from time to time. Thank you everyone for the wonderful suggestions. This is good information to have, even if I don't end up getting that particular 1930s home ( with the creepy house next door ). This city ( Mobile ) is over 300 years old and full of ghosts, so there is a good chance of having to use this no matter where I end up. I always lean toward the older houses with the formal areas ... and the older ones are very likely to have a few "occupants". Thanks again. I agree, you'll use them no matter where you end up!! If this were me, I'd do my best to develop a rapport with them and get them to help me with my spiritual work!! I'm not sure if I'm dealing with a haunting situation, or something else. Recently I moved in with my boyfriend. Up until the day I moved in, he was in hot pursuit of a relationship with me, and very kind and loving and was promising marriage; however, from the second I moved in, he practically ignores me and only wants to play RPG games. I am completely baffled. I've been sensing something is 'off' about this house (and him) from the day after I moved in. I keep seeing shadows in varying places in the house (usually in the kitchen, or the office or the back bedroom), and my boyfriend keeps hearing thumping noises, voices, and sounds like someone is snapping their fingers behind his head--trouble is, there's no one there when he turns around, or goes to investigate where the voices are coming from. To top it off, my cat, from the day I moved in, has become increasingly protective of both of us (my cat has a lot of dog-like behaviors), but more so of my boyfriend. My cat watches over him very carefully, especially if my boyfriend is alone in the bedroom. There are other unusual behaviors coming from the cat, as well. I also keep hearing from my boyfriend (and his family) about this ex-gf of his that broke his heart badly, but still wants to remain part of his life. My intuition tells me that something stinks from that end, but I'm not sure what. What can I do to restore peace to the house, and return my boyfriend to acting loving towards me again? livelovelaughter1 wrote: What can I do to restore peace to the house, and return my boyfriend to acting loving towards me again? It certainly does sound like a haunting -- but it may or may not have anything to do with the sudden change in your love relationship. Your best bet is to consult an ethical, gifted reader, like the ones at AIRR. To deal with the haunting ASAP, try leaving a Bible open to Psalm 91 under your bed or at your bedside. You can also sleep with a pocket New Testament under your pillow or in your pillowcase. These are most commonly recommended against hag-riding and nightmares respectively, but they have also been known to defend against ghosts. You might also get some Tibetan Ghost Purging Incense from Lucky Mojo -- effective against not only spirits but just about any kind of negativity, too.